Want to know how to make a Better Cauliflower Rice recipe? 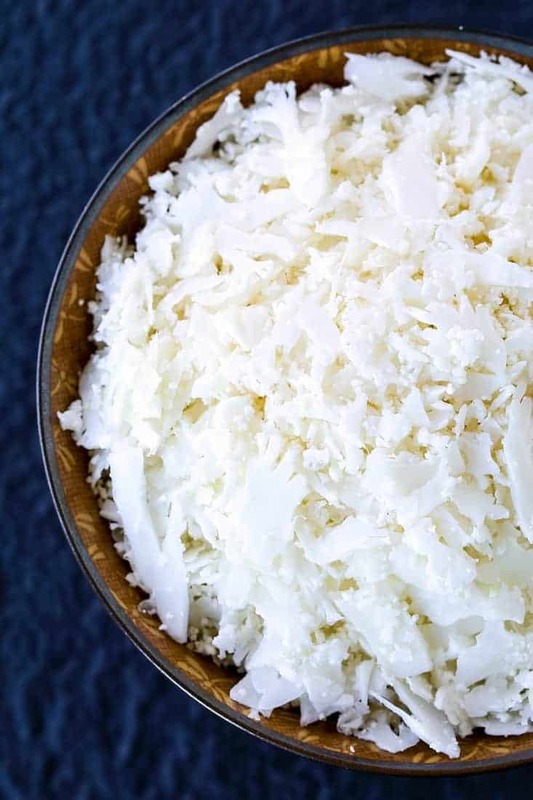 Use this simple technique and your rice swap out dishes will be SO much better! 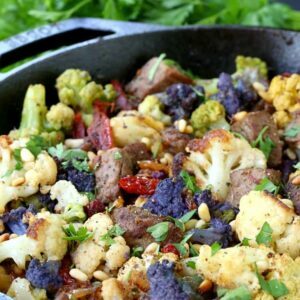 Cauliflower rice is so popular these days and it has been for a really long time. For good reason, it’s a healthier alternative to rice, especially white rice. Brown rice does have it place, but if you’re looking to out carbs then cauliflower rice is the way to go. 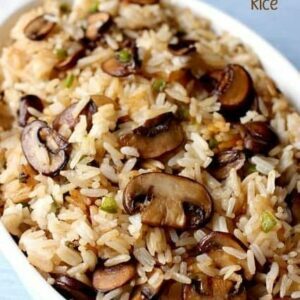 We love making all types of rice recipes like our popular Spicy Mushroom Rice or fun twists on fried rice recipes like Italian Fried Rice. 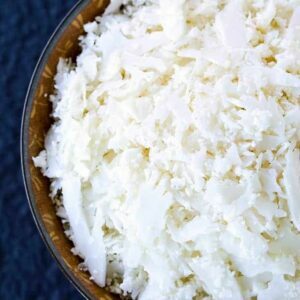 You can substitute this Better Cauliflower Rice in all of those recipes, and more! 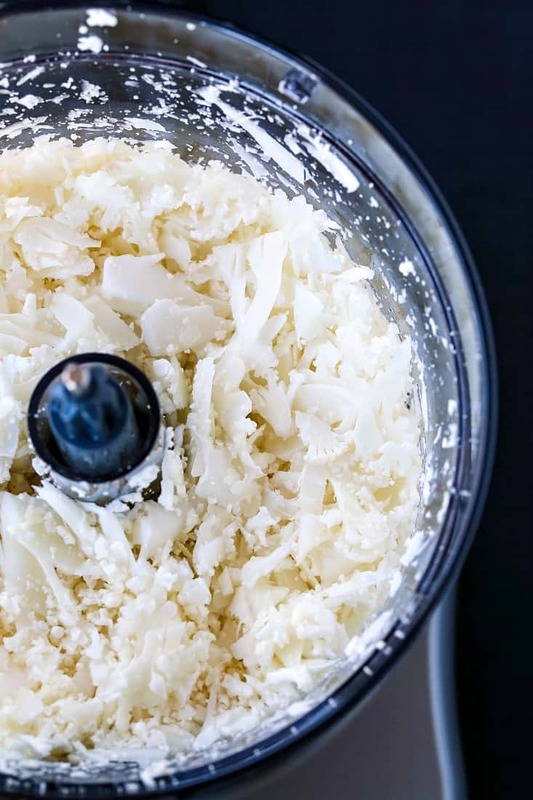 All you need to make this cauliflower rice recipe is a food processor with a slicing blade. Don’t want to break out the food processor? Try a sharp butchers knife, too, depending on how your knife skills are. Using a knife will get the job done, it’ll just take a little longer than using a food processor. So grab a head of cauliflower and break it down into florets, making sure the florets are small enough to fit through the chute in your food processor. Using the small slicing blade (ours comes with a small and medium blade) turn the food processor on and start feeding the cauliflower into the chute. What you’ll end up processing the cauliflower this way is a cauliflower rice with a lot of different sizes and textures. Some of the cauliflower will be small like rice and some will be a super thin slice of cauliflower, depending on the way it went through the chute. Making cauliflower rice using the chopping blade results in all small pieces that are pretty much the same size. That’s fine, too but sometimes you end up with a big pile of mushy cauliflower rice. No one is going to dive in to a big bowl of that. Tons and tons of things. First of all you could steam it as is then just add some seasonings and butter for a side dish. But here are some other ideas! 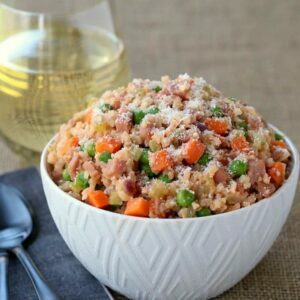 Let us know your favorite ways to use this Better Cauliflower Rice recipe, we’re always looking for more ideas! 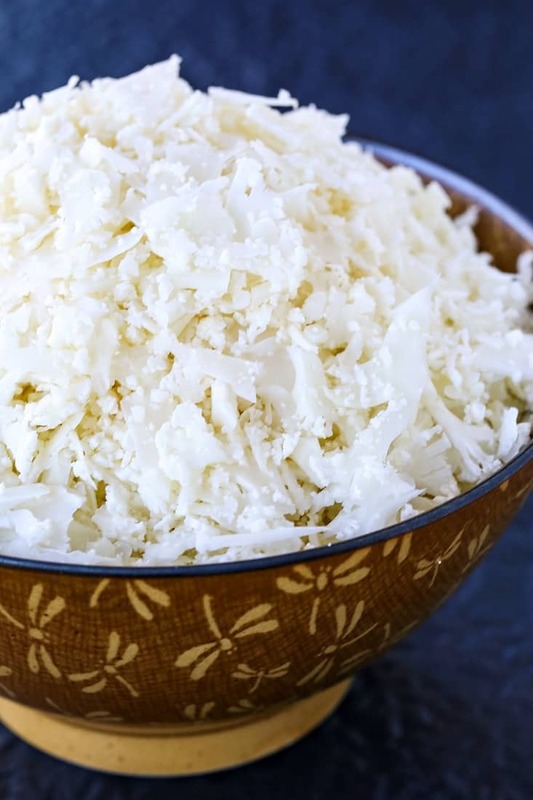 This Better Cauliflower Rice Recipe will make all your low carb recipes SO much better! Break the cauliflower into pieces small enough to fit through the chute in your food processor. Using the slicing blade (our food processor comes with 2 sizes, for this recipe use the small slicing blade) add the cauliflower through the chute and process until the whole head of cauliflower is riced. 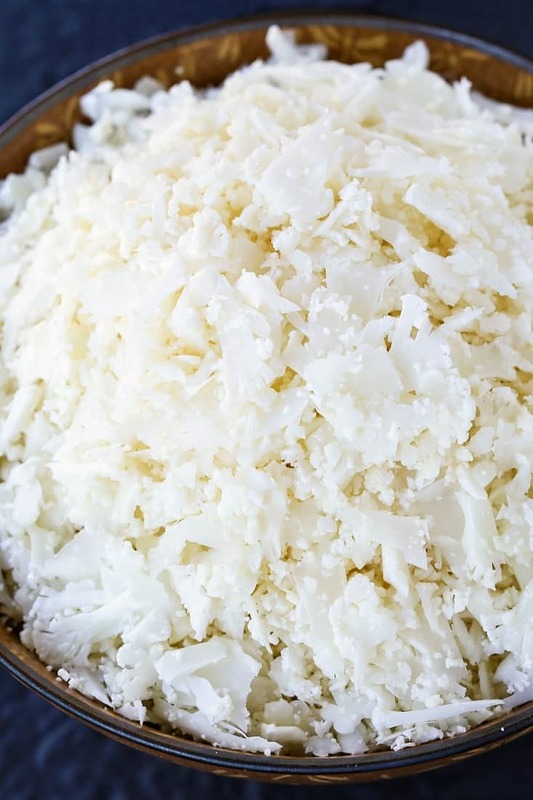 Using this method you’ll end up with larger and smaller pieces of cauliflower that will add texture to your cauliflower rice recipes. Add raw to stir fry recipes or fried rice recipes, or steam in the microwave with a tablespoon of water per cup in a bowl covered with plastic wrap for 2 minutes.